The simplest way to combine the unprecedented graphical potential of Python (matplotlib library) and a speed of numerical calculations of pure C/C++ languages is to compile the C-code as a dynamic library. Here I give an example. extern “C” is necessary to clarify which functions are visible outside the dynamical library. The python package ‘ctype’ was written for pure C-language. Therefore, the class structure is not inherited. The class structure should be duplicated in the Python code. The only complicated part of the code is how to return values. When the integration step is tiny (~0.1) we get the right result. 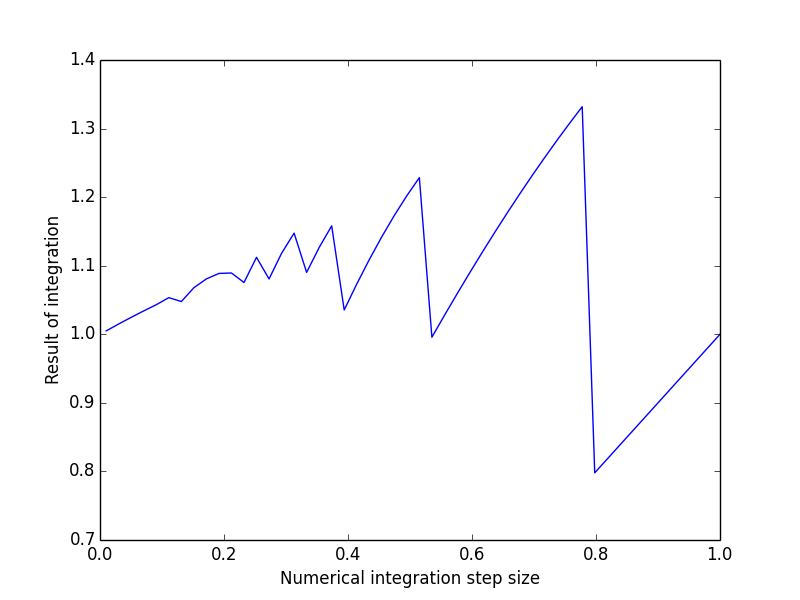 If the integration step is large, the result fluctuates a lot.